Nobody has mentioned the other major factor. Lady Luck. Say what you like but she needs to be on your side. Just come across this article which was a fairly interesting read, writer has his predicted finish for us as 7th. What do we think, about right? Or slightly generous. Agreed. Although it's only the first game of the season, in the overall scheme of things it's a must-win in terms of points and morale. "See? I'm not alone -- maybe this just puts it more clearly"
But where does the article rank in the Blucherquin negativity scale - or is that honour reserved purely for my posts? I'm not too worried by the England issues with Gustard. He only got the players for a couple of weeks at a time and they all played slightly different versions of defence, which he then had to unify. Here he has the players week in week out teaching them his approach to defence. Even the prop forwards will learn it eventually! Gustard brings fans a realistic optimism that has been sadly absent at the start of recent seasons. 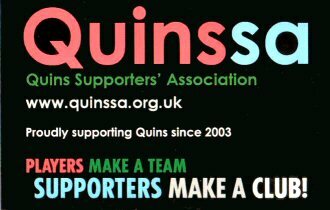 To repeat my first post on this thread - only time will tell which Quins turns up in 2018/19 but given the fixture list the Sale game and those up to the end of October will give a good indication (imho). I'm pretty sure I said I'm happy as long as we don't get relegated and don't look like the collection of over-the-hill england players and bench-filling squad dross who hate each other and can't tackle that we've looked like for the past two years (or something like that). So yeah, 7th is fine.